The World Cup is over, with France claiming glory in the final at Moscow's Luzhniki Stadium. The tournament has seen plenty of goals, last-minute deciders and a string of big upsets. Here, Press Association Sport takes a look at five players which have starred, and five that have disappointed. The 19-year-old France forward has been earmarked as the player to fill Cristiano Ronaldo and Lionel Messi's boots as the best on the planet, and it is not hard to see why. 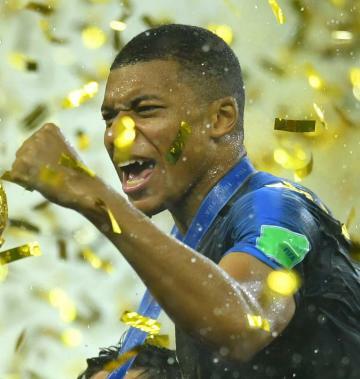 Paris St Germain's Mbappe has proved a real handful for France's opposition with his pace, direct play and mature decision-making. He also finished with four goals to his name, while his sumptuous back-heel flick to Olivier Giroud in France's semi-final win over Belgium capped off a wonderful display. England may have fallen at the last-four stage, but Harry Kane has led by example for the Three Lions. Kane netted a brace with a late header to ensure the team got their campaign under way with a win over Tunisia before becoming the first Englishman since Gary Lineker in 1986 to score a World Cup hat-trick after he bagged a treble against Panama. He also scored from the spot in England's last-16 win over Colombia to take his tally for the tournament to six, earning him the Golden Boot as the leading scorer. Croatia knocked out England to reach the World Cup final for the first time in their history, and Real Madrid's Luka Modric was the driving force behind their remarkable run. The former Tottenham midfielder netted twice - including his wonder strike against Argentina in the group stage - and was a persistent menace on the ball following a number of eye-catching dribbles. Croatia lost the World Cup final to France but Modric was rewarded for his performances in Russia by winning the Golden Ball as the tournament's best player. Harry Maguire has gone from a relative unknown to a household name. The Leicester defender went to France with friends to watch England at the 2016 European Championships, but two years later he found himself not only in Gareth Southgate's squad, but in the starting XI. Maguire has proved dangerous from set-pieces and opened his international account with a bullet header in England's 2-0 victory against Sweden. At 33, Cristiano Ronaldo may have played his final game at the World Cup. If so, the forward saved some of his best for last as he single-handedly hauled Portugal out of the group. His stunning hat-trick in the 3-3 draw against Spain is likely to go down in World Cup folklore, while he also scored the winner in his side's next game against Morocco. Following an impressive tournament, it was announced earlier last week that Ronaldo was leaving Real Madrid to join Juventus. Neymar was one of the stars of his home World Cup in Brazil four years ago, but failed to live up to the billing in Russia. 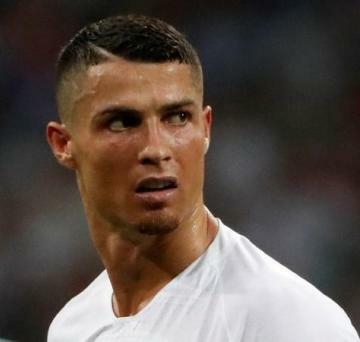 The world's most expensive footballer could not inspire Brazil to beyond the quarter-finals, following their 2-1 defeat against Belgium, and he also courted criticism for his theatrics and apparent play-acting. The Arsenal forward was off the boil for Germany as the defending champions crashed out at the group stage. Ozil started twice, but was dropped for Germany's win against Sweden. Ozil's father has since claimed that his son has been made a "scapegoat" for Germany's failings, and urged him to retire from international football. Messi failed to get hold of Argentina in the same way as Ronaldo managed for Portugal. 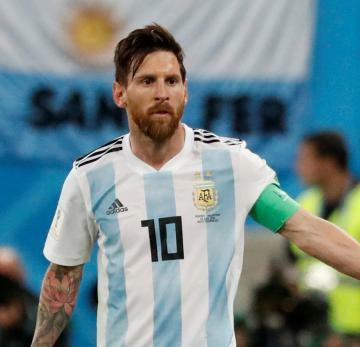 He missed a penalty in Argentina's surprise draw against Iceland, and was outshone by Mbappe in their last-16 defeat to France. Messi's chance of winning the World Cup may be over, too, with the Barcelona star 35 at the next tournament. Lewandowski scored a record 16 times in qualification, but although Poland were in one of the easier-looking groups - alongside Japan, Colombia and Senegal - they failed to make it to the knockout stages. Lewandowski found the back of the net 41 times for Bayern Munich last season, but did not get off the mark in Russia as Poland scored only two goals. Muller won the Golden Boot in 2010 with five goals, and bagged another five when Germany were crowned world champions four years ago. But the 28-year-old was totally ineffective in his country's title defence as he failed to score and managed only one shot on target.